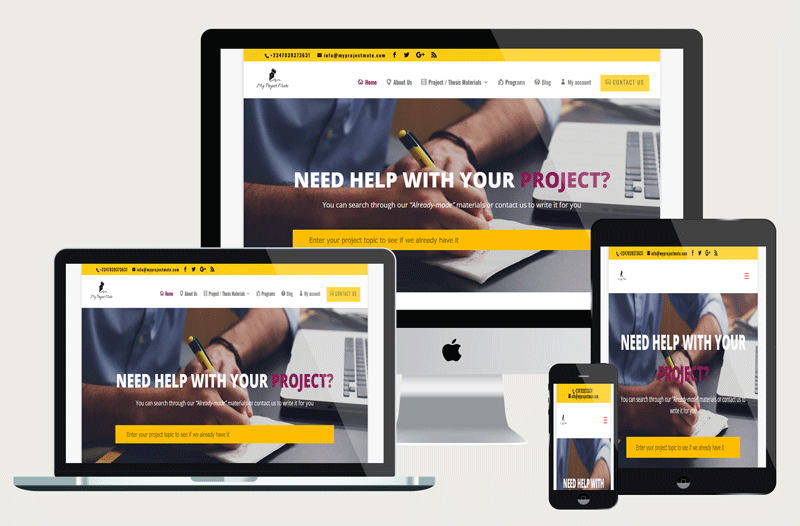 The work, My Project Mate, is a design and development of a responsive, educational E-commerce website. The site includes a blogroll with two categories. The website will enable the client to list virtual products (Project materials and thesis), collect payments online and publish blogroll. The E-commerce platform incorporates two payment methods, Voguepay, which processes Credit and Debit cards and also BAC payment method.